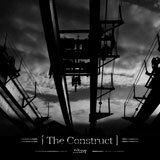 Manchester-based post-metallers The Construct formed with the aim of creating music that was stripped out of such things as guitar solos, pinched harmonics and double kick-drums, according to their Myspace site, and on the basis of hearing this EP, I would say that they have most definitely succeeded. Not to say that their music is basic, far from it in fact, but that it lacks superfluous ornamentation. Not for them are the bells and whistles of much modern metal, instead The Construct offer us four tracks of streamlined metal with a post-modern edge that evokes names such as Isis and Neurosis yet manages not to fall into the trap of meandering repetition in the name of ‘atmosphere’ that is so common in bands of this ilk. Opening track ‘Black Horizon’ puts me in mind of early Isis, circa ‘Mosquito Control’ and ‘Celestial’, with touches of Deftones and a definite feel of our own Earthtone9, particularly in the arrangements and in the vocals of Alex Creamer – who some of you may remember from British metallers Dearly Beheaded. ‘The Last’ has a lurching, slightly off-kilter, drive to it that just screams early Isis and a vocal performance that Steve Von Till of Neurosis would be proud of. The mid-section contains a chiming, cyclical breakdown that ebbs and sways like the tide and dissolves into a chugging, dragging riff that thuds along in a thoroughly headache-inducing fashion, before picking up again into that driving lurch. It is moments like this that show just how much The Construct, and guitarist Rory Vallely in particular, thoroughly understand the dynamics of this music. They know exactly how much to strip it down and how far to push the envelope before it becomes dull, a skill which so many post-metal bands could do well to learn. Having said that, however, I could imagine that some may find that ‘Reflections’ goes a little overboard on the ‘chiming, twinkling guitars’ angle. Not me though, as I find the cyclical, repetitive guitar motif that runs through the lion’s share of this song to be very pleasant on the ears, and works nicely as a palate cleanser with which to offset the distorted, angularity of the rest of the track. A subtle, just-on-the-edge of hearing high note that may well be e-bowed runs behind the latter part of this track adding depth as it begins to fade out. The subtlety of ‘Reflections’ goes some way towards balancing out the darkness of final track ‘Below’, a chugging sludgefest with a sucking undertow and icy guitar breakdown that begins in a manner not unlike ‘Manky’, from the Melvins ‘The Maggot’ album, and ends in a series of bludgeoning and bleak rhythmic discords. Along the way there is that aforementioned icily spiky guitar breakdown, full of the coldness of Khanate and Black Metal, and a slightly askew melodic section that serves to throw the rest of the track into a stark contrast. Vocally, Creamer is in commanding form here, and the band ratchets up the tension around him until the very end. Averaging out at around seven minutes apiece, there is plenty of scope here for the songs to become boring and drawn-out, but that never happens. It is rare to find a young band, as I said earlier, with this much awareness and arranging skill straight out of the box. It would seem that the band as a whole have learned their craft well over the years and have brought their own previous experience, positive AND negative, to bear within The Construct. There is definite promise shown here, and I believe that we will not have to wait TOO long for their debut full-length recording. Let’s hope that they continue to learn and grow, and in a few short years we may well have a serious contender on our hands here.